Talk of a piece of music that packs such an important message and content that should be brought to the fore. This is as the prolific DJ Yin drops a new tune that addresses the uncomfortable topic of depression. Titled “Kilimanjaro,” it features the ever-savvy BankyOnDBeatz. Especially in a country and continent that doesn’t pay a lot of attention or negative reactions at best to the issue of depression and mental health. The talented damsel steps forward, takes the bull by the horn and documents her own journey as well battle against the dreaded disorder. However, as DJ Yin attempts to bring more awareness to this issue, she does so to critical acclaim with no sadness or mood swings attached to it. Entrusting production with BankyOnDBeatz, “Kilimanjaro,” comes through as an up-tempo, bouncy and wavy tune. In the end, “Kilimanjaro,” is a happy and positive song that brings even more hope and succor as well as jolly and celebration that just absolutely kicks depression in the ‘back side’. 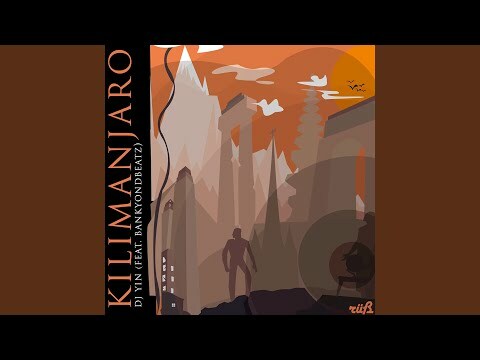 “Kilimanjaro” features cameo addresses by popular radio OAP, Kemi Smallz, artistes like Fasina, Odunsi (The Engine), Nova, popular Producer, Benie Macaulay as well as Poet, Ayo Wright. You definitely want to add your voice to the fight against depression.